Colorado AvidGolfer, a premier regional golf lifestyle magazine and statewide resource for the game, has ranked nine of Nicklaus Design’s golf courses in the State of Colorado, and six additional Nicklaus Design layouts, in its Spring 2015 issue covering the gamut of “Bests,” from best food, to best service, best wildlife experience, and best travel. Readers ranked Castle Pines Golf Club, a Jack Nicklaus Signature Golf Course in Castle Rock, Colo., No. 1 in the Best Clubhouse, Best Locker Room, and Toughest Test categories. The course ranked second in the Reader’s Choice lists of the Best Overall Experience, Best Food, and Most Coveted Invitations, and third in the Reader’s Choice list of the Best Denver Region Clubs. Colorado AvidGolfer staffers also named Castle Pines to their lists of the Best Food, Most Coveted Invitations, and Best Denver Region Clubs, and additionally included the course, open since 1981, on their Toughest Test list. The Broadmoor, where the Nicklaus Design team redesigned the famed venue’s Mountain Course, was given eight nods in the magazine’s Spring 2015 issue. Readers ranked The Broadmoor No. 1 on their lists of the Best Service and Best Southern Courses; No. 2 on their lists of the Best Après-Golf Experience and Best Food; and No. 3 on their lists of the Best Wedding/Party Venue, Best Environmental Stewardship Course, and Best Overall Experience. 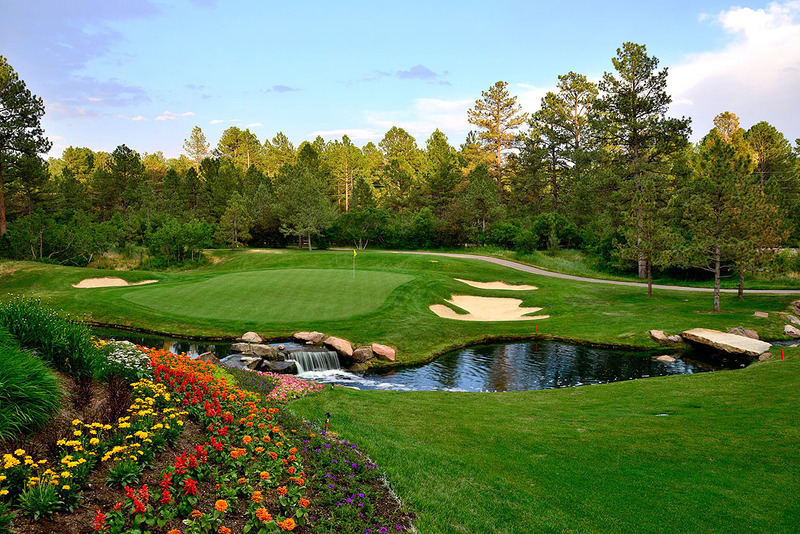 The Colorado Springs, Colorado, course was also included on the Staff Picks list of the Best Southern Courses. Both readers and magazine staff selected The Broadmoor to their lists of the Best Colorado Stay & Play. Cherry Creek Country Club, a Jack Nicklaus with Jack Nicklaus II design in Denver, was named to five different lists. Readers rated Cherry Creek No. 3 on their list of the Best Overall Experience; while Colorado AvidGolfer staff selected the layout on their lists of the Best Clubhouse, Best Locker Room, Most Underrated Club, and Best Denver Region Club. Country Club of Castle Pines, a championship-caliber Jack Nicklaus Signature Golf Course in Castle Rock, Colo., was selected in staff lists of the Best Food and Most Underrated Club. The private course opened for play in 1986, and its layout features no two holes running parallel to each other. Magazine staff selected The Club at Cordillera Ranch’s Summit Course on their list of Best On-Course Views. The Edwards, Colo., course is a Jack Nicklaus Signature Golf Course. The golf community, located in the mountains, was also named No. 1 in the Reader’s Choice list of the Best Mountain Clubs. Other Nicklaus Design layouts in Colorado to receive nods were Aspen Glen Golf Club (Carbondale), No. 3 on the Reader’s Choice list of Best Mountain Clubs; Breckenridge Golf Club (Breckenridge), named on the Staff Picks list of the Best Wildlife Experiences; Country Club of the Rockies (Edwards), selected by readers as No. 2 on the list of Best Mountain Clubs; and Roaring Fork Club (Basalt), named No. 3 by readers on the list of the Best Mountain Clubs. Outside of Colorado, Jack Nicklaus Signature Golf Courses in Tucson, Ariz., scored big in the magazine’s Spring issue. The Ritz-Carlton Dove Mountain was named to the Staff Picks and Reader’s Choice lists of the Best Golf Experience in Tucson. Readers also included The Westin La Paloma in their picks for Tucson’s Best Golf Experience. Coyote Springs Golf Club, a Jack Nicklaus Signature Golf Course in Nevada, was named by staff as one of the Best Las Vegas Golf Experiences. Internationally, Cabo del Sol was named the No. 1 Golf Experience in Mexico by readers; One & Only Palmilla tied for second; and Punta Mita was selected as a Staff Pick for Mexico’s Best Golf Experience. Published eight times a year, Colorado AvidGolfer celebrates the game as a matter of both performance and pleasure, as the center of a constellation of interests that include exciting travel, great cars, wonderful wines, fabulous food and stylish clothing. The magazine reports on and appeals to individuals who define the personality of golf in the Rocky Mountains, delivering information on courses, equipment, instruction and strategy while embracing those elements—the humor, camaraderie, competition and style—that animate the game of golf.